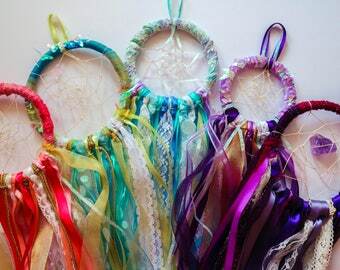 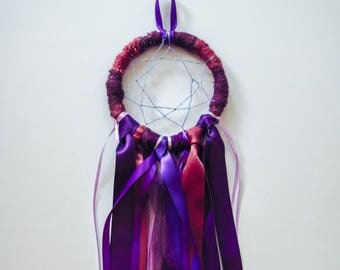 Give your space a little more color and magic with this red and purple dreamcatcher! 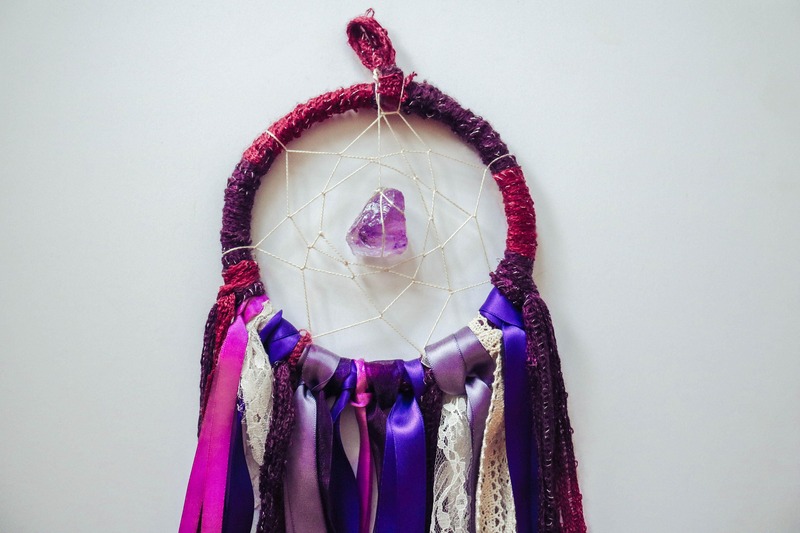 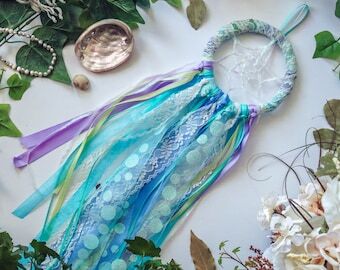 Hand-crafted from twine, thread, yarn and ribbon; blessed with fluorite, cedar and serpentine. 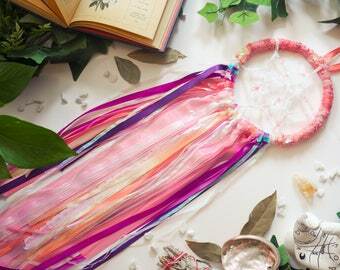 Great for work with spiritual power and wisdom! Inner Hoop Diameter: 4.5" || Tail Length: 24" || Total Length: 30"